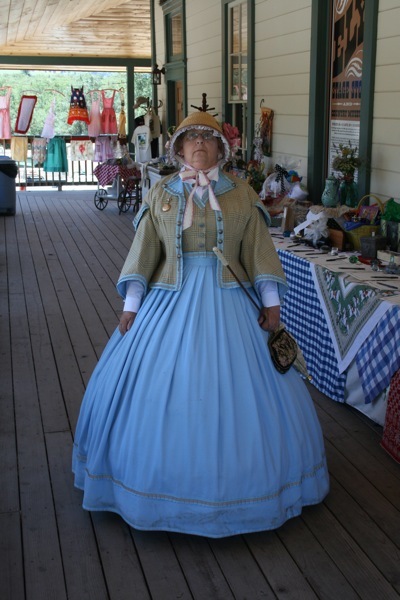 Check this page for the latest doings of the Lake County Historical Society. 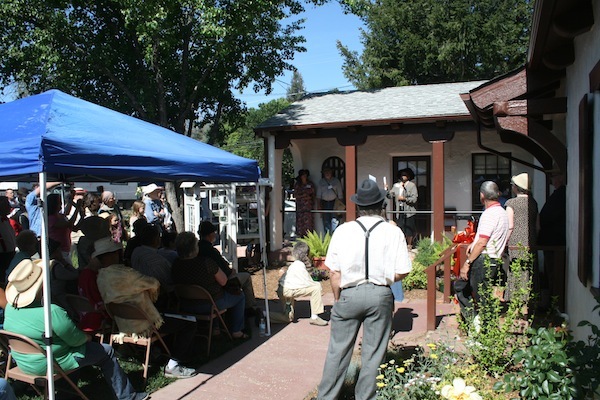 Middletown was the scene of Thirties-themed festivities as hundreds of people gathered on Saturday, May 3 for the grand opening of the new Gibson Museum and Cultural Center at 21267 Calistoga Road. 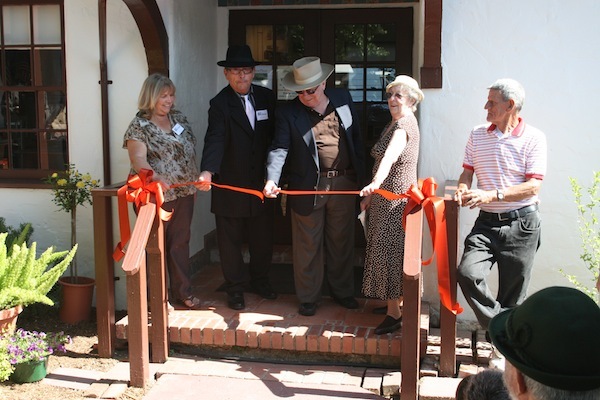 After brief opening remarks by Lake County Historical Society President Voris Brumfield and by Harry Gibson, a descendant of the original builder of the structure, a ribbon cutting ceremony marked the opening of the new facility to the public. 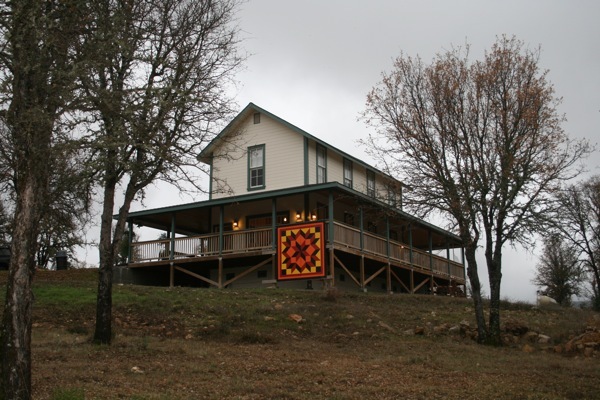 The new museum features many well-constructed displays relating to many facets of Lake County history. The celebration continued throughout the afternoon. 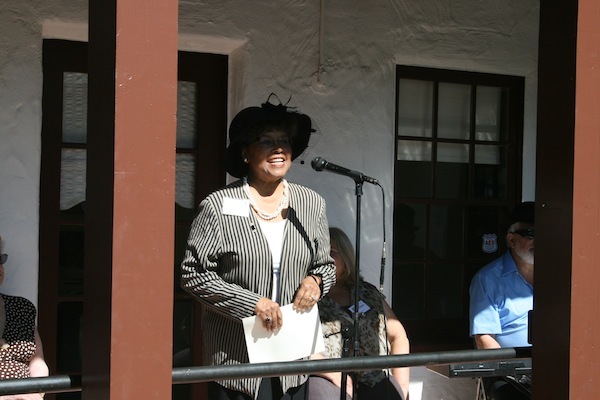 Hundreds of people attended the grand opening of the Gibson Museum and Cultural Center. The courtyard was filled to overflowing with attendees. 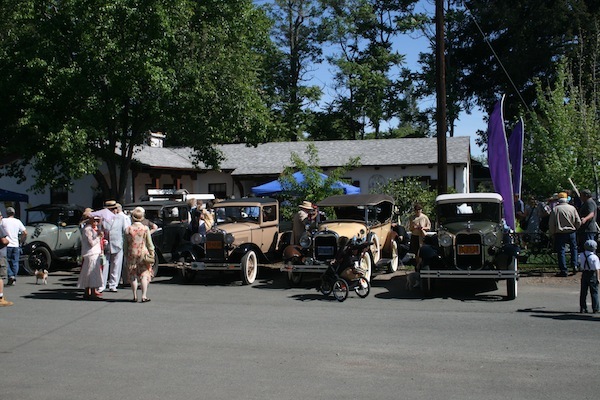 Model A Fords from the Lake and Sonoma Counties Model A Clubs lent a special taste of nostalgia to the festivities. LCHS President Voris Brumfield addressed the crowd. 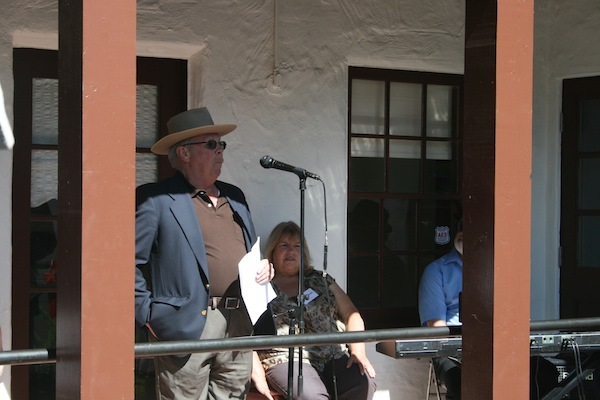 Harry Gibson, descendant of the builder of the Gibson building, also delivered a short speech. After the ribbon cutting people were allowed into the new museum facility for the first time. 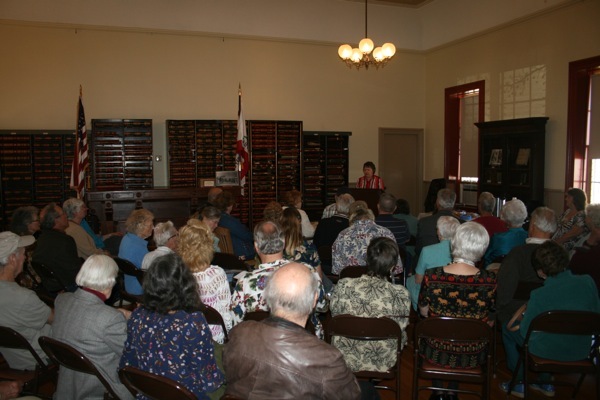 A capacity crowd filled the old courtroom in the Lakeport Historic Courthouse Museum to hear K.C. Patrick talk about history in Lake County. 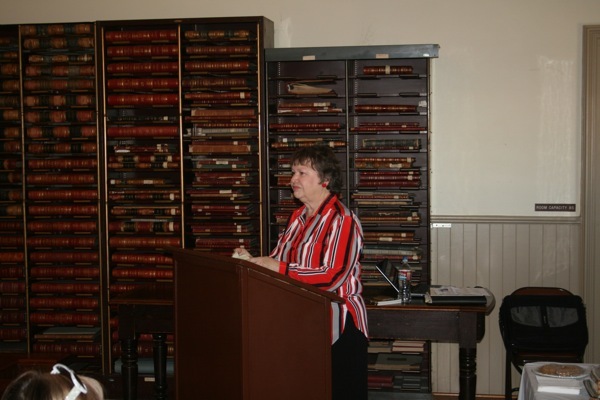 Actually, Patrick asked questions about Lake County history and those questions then led to an informative interaction with LCHS members in attendance. 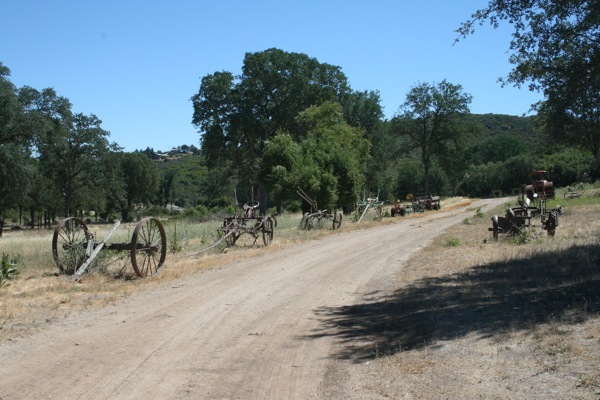 Among the topics discussed were, why Finley is where it is, deportations of local Native Americans, the Lower Lake roller rink, Lake County naval bases, local beer brewing, railroads, the history of opposition to the Clearlake Walmart. and the waterfront landfill in Lakeport. Much of the meeting’s information came from members of the audience, whose mini oral histories were a real treat for the other LCHS members who were present. Below is a picture gallery of the meeting. 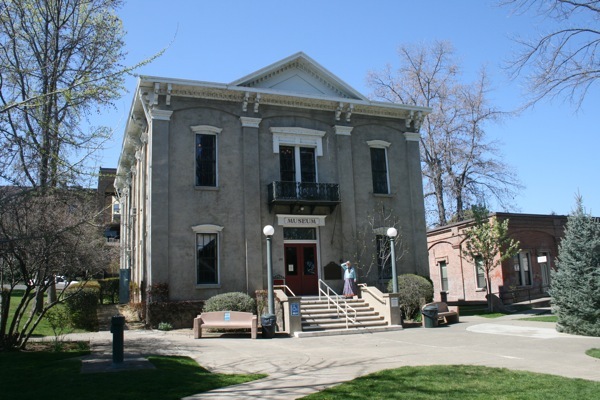 The Lakeport Historic Courthouse Museum. 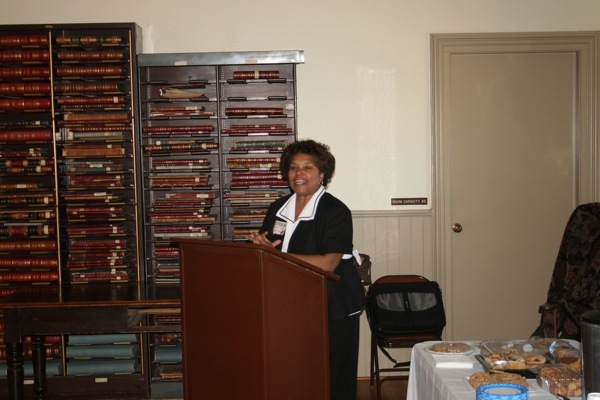 New LCHS President Voris Brumfield addressed her first Society General Membership meeting. K.C. Patrick led an interesting discussion of Lake County history. 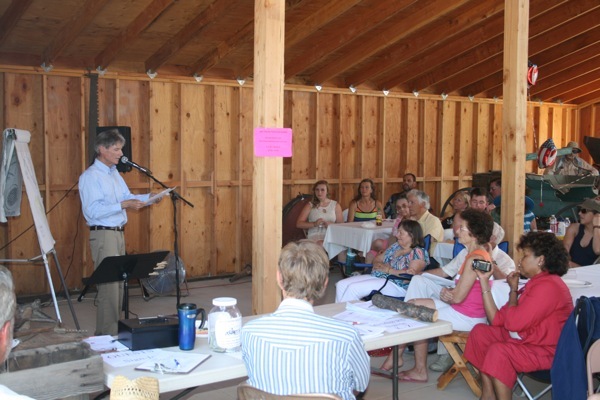 A capacity crowd attended the meeting. 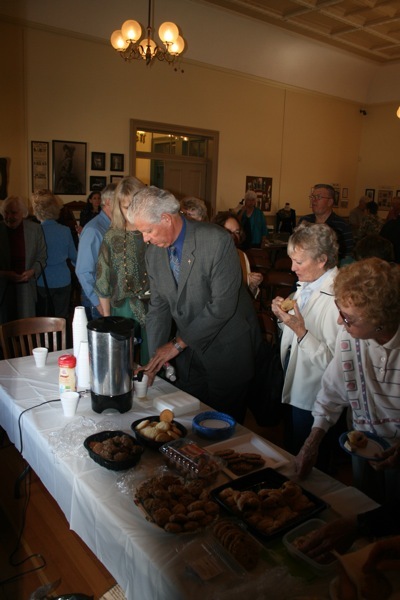 As usual, ample refreshments were on hand. 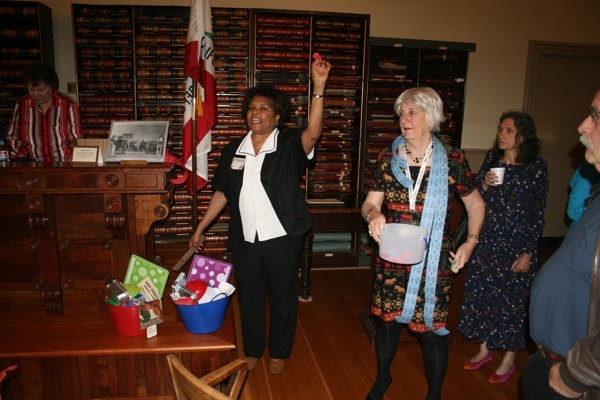 President Brumfield announces a winner in the prize drawing as First Vice-President Catherine Quistgard looks on. Publicity Director: Nina Bouska with help from Vonn Fuqua. 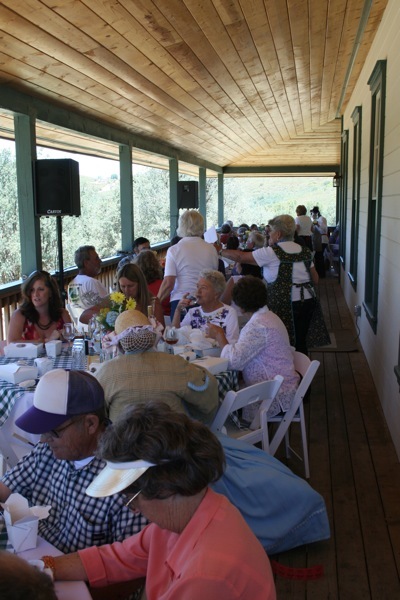 On June 30 the Lake County Historical Society held its annual summer picnic/General Membership Meeting in the newly restored barn at the Ely Stage Stop and County Museum on Soda Bay Road in Kelseyville. 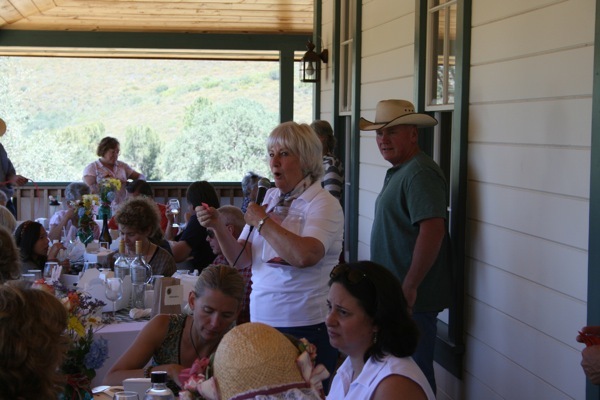 Over one hundred LCHS members and guests braved triple-digit temperatures to attend the event. 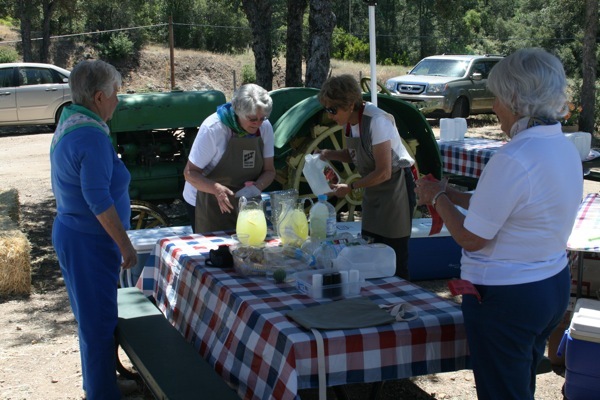 Food basics such as cheeseburgers, hot dogs, and drinks were provided by the Society. 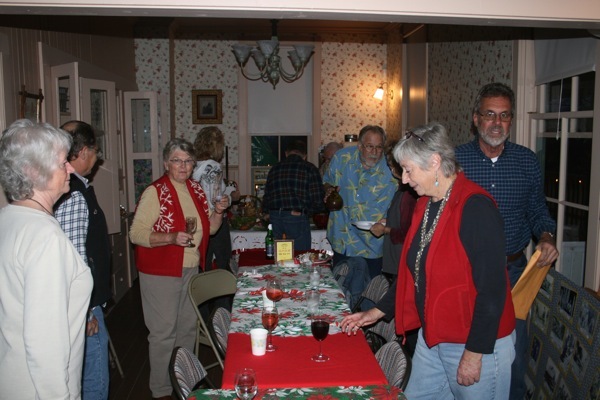 Members and guests filled out the menu with potluck side dishes and desserts. The featured guest speaker was Harry Lyons, who gave an interesting lecture on the geology of Clear Lake and the Lake County area. 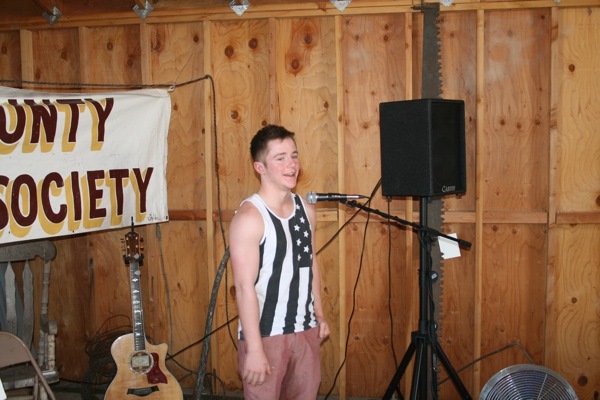 And Lyons did double duty by also providing the musical entertainment with his band the Harry Lyons Rockers. LCHS business was attended to also, as the tentative draft of the Society’s new Bylaws were approved by voice vote, as was the the appointment of Voris Brumfield as the new Representative from District One. 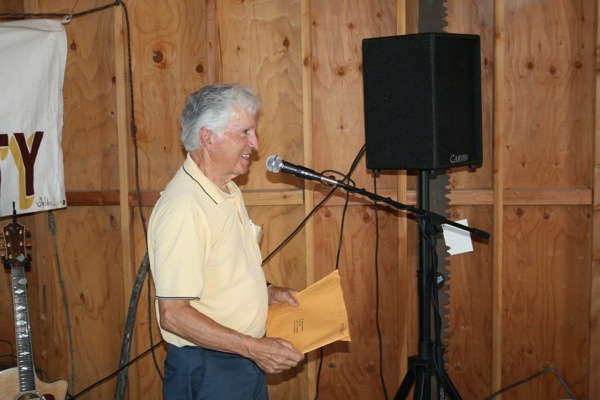 Scholarship Committee Chairman Tony Marchese introduced two recipients of LCHS scholarship fund, and the traditional raffle was held with fine prizes going to several lucky winners. 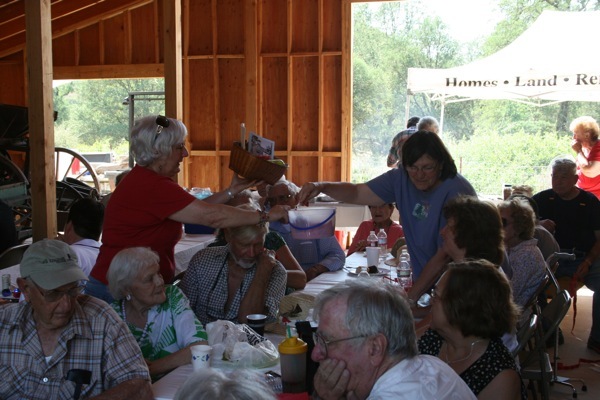 It was a hot day, but the spirit of the LCHS membership prevailed, and a great time was had by all attendees! Please see the photo essay below for some of the highlights of the afternoon! 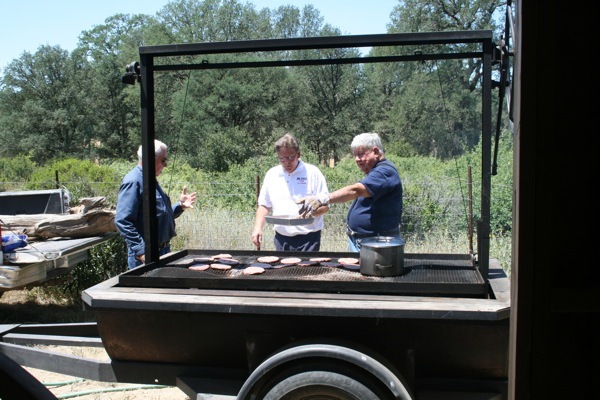 Expert chefs were on hand to grill hamburgers and hot dogs. Cheeseburgers were one of the main courses. 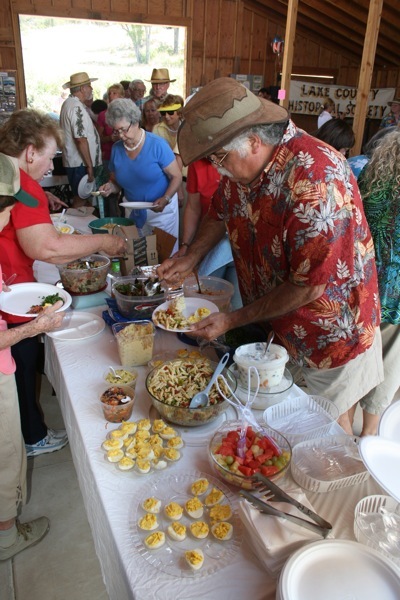 There were also many side dishes, which were brought by LCHS members and guests. 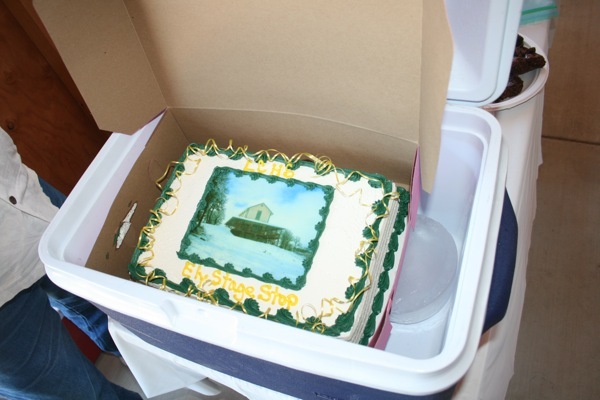 One of the desserts was a cake with an icing image of the Ely Stage Stop. 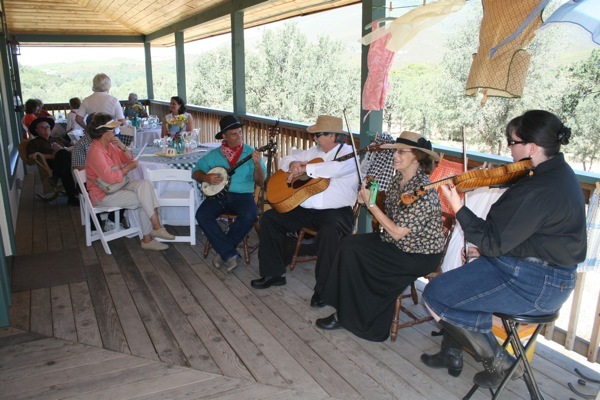 The event was held in a newly reconstructed barn at the Ely Stage Stop and Country Museum. Scholarship Committee Chairman Tony Marchese introduced two recipients of LCHS scholarships. 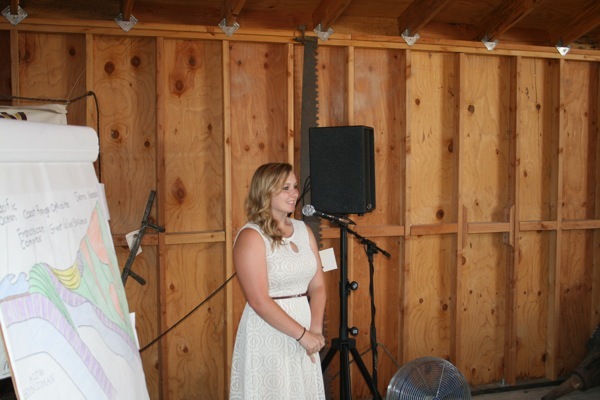 Cheyanne Horvath thanks the Society for her scholarship. Jacob Gill was another winner. 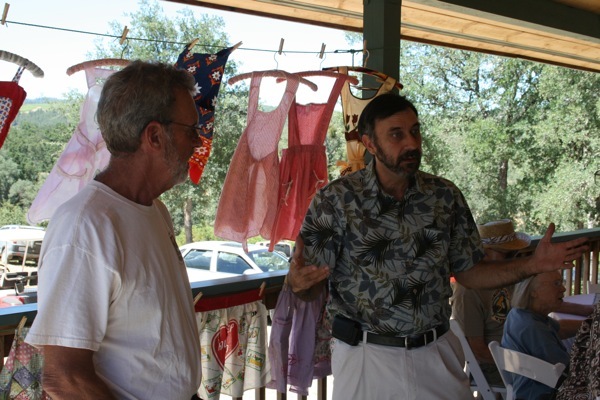 Harry Lyons gave a talk on the geology of Clear Lake and Lake County. 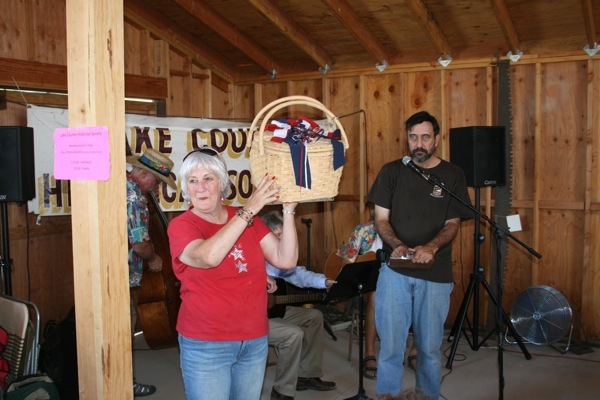 LCHS Vice President Catherine Quistgard displays a raffle prize. President Phil Smoley is to her left. One raffle winner draws the winning ticket for the next prize. Music was provided by the Harry Lyons Rockers. 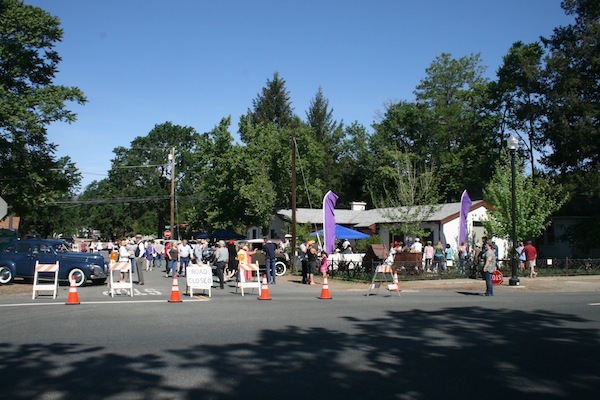 Ely Stage Stop was the site of a Picnic on the Porch on Saturday, June 22. 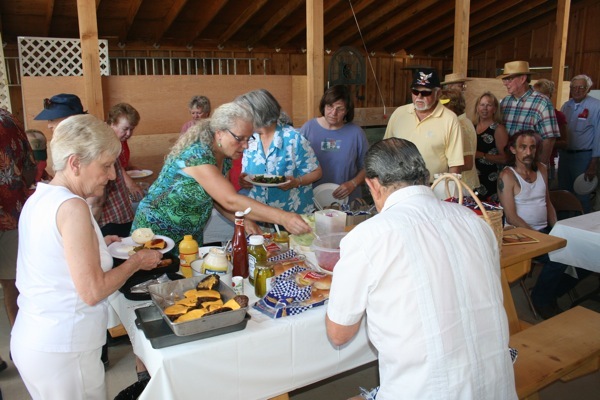 Many LCHS members and guests showed up to join in the celebration, which was also a fundraiser for the Stage Stop. 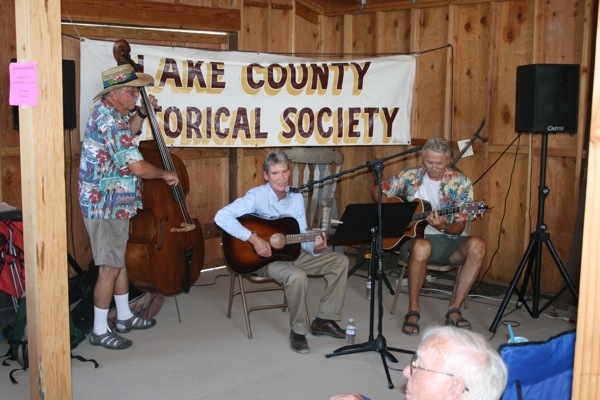 The weather cooperated nicely as attendees enjoyed live music, good food and drink, and the opportunity to show their support for the Lake County Historical Society and its endeavors. 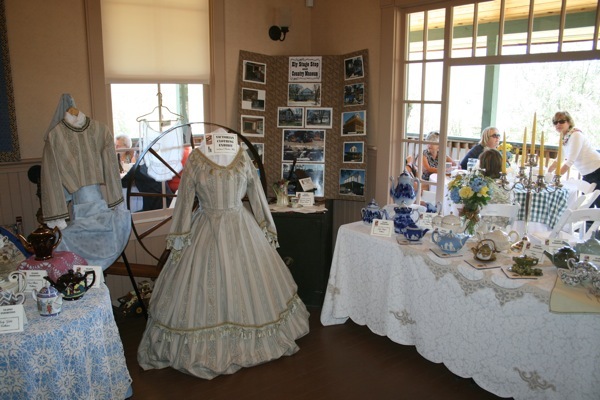 The event featured displays of antique (and otherwise collectable) tea pots and of Victorian clothing. 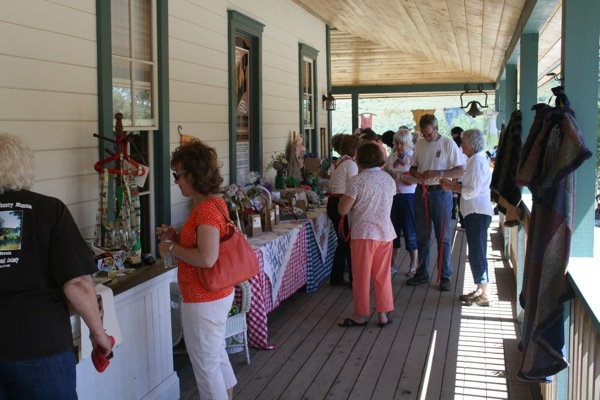 Picnic attendees examine the items available in the silent auction and raffle. 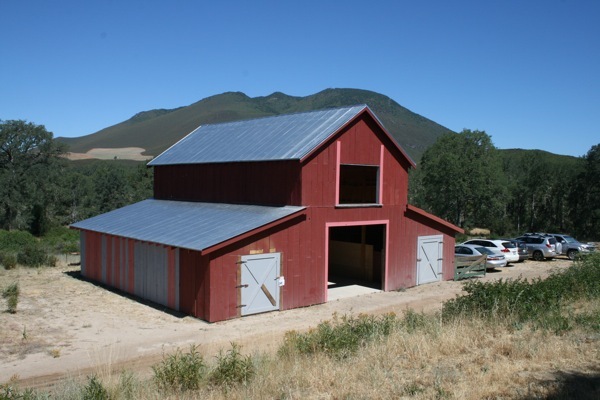 Mount Konocti towers in the background over a recently assembled barn that will eventually be home to historic agricultural artifacts. Ely Stage Stop General Manager Greg Dills and LCHS President Phil Smoley. 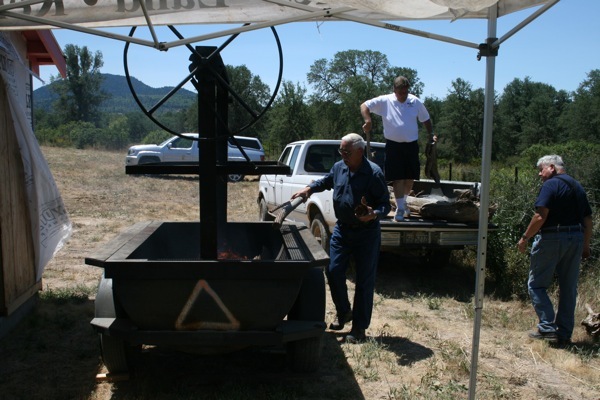 Antique farming implements on display on the Stage Stop grounds. Music was provided by Uncorked (Don Coffin, Eleanor Clark, Andy Skelton, and Dan Harris — not necessarily in that order in the photo!). 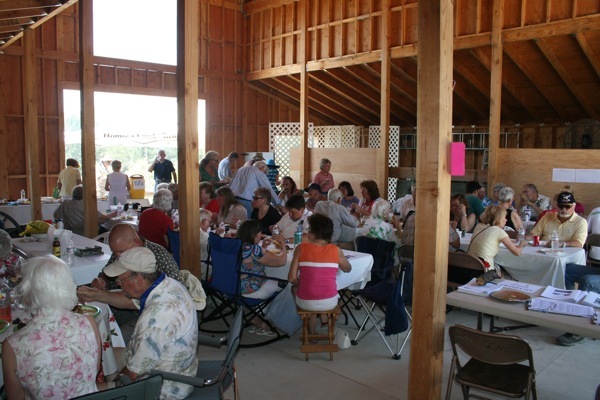 All of the porches around the Stage Stop were filled with guests enjoying a fine boxed lunch. Stage Stop volunteers kept the crowd cool with an unending stream of iced tea and lemonade. 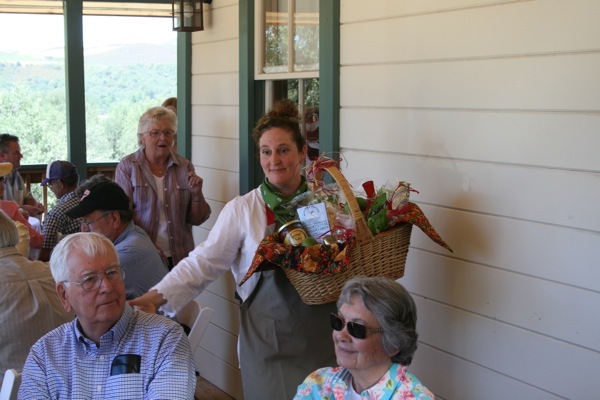 Lake County Supervisor (Kelseyville) Rob Brown looks on as LCHS Vice-President Catherine Quistgard draws one of the raffle winners. A prize is delivered to a lucky raffle winner. 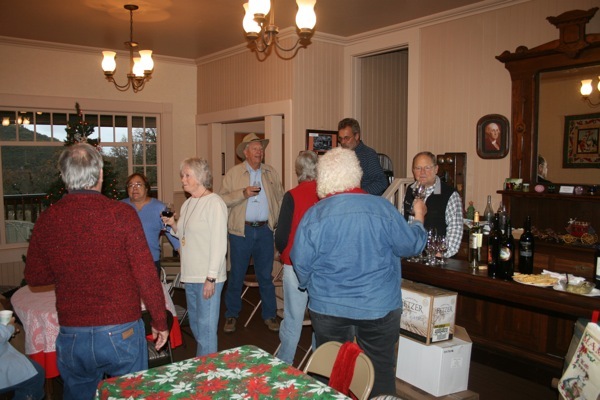 On December 1 a dinner was held at the Ely Stage Stop in honor of the many enthusiastic docents who volunteer their time at the Stop. 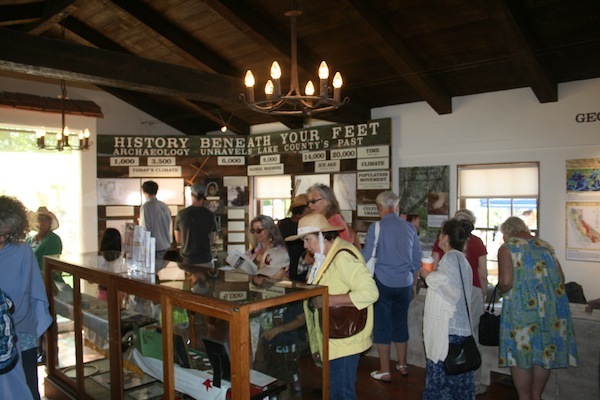 A good crowd was on hand to represent and honor the docents. 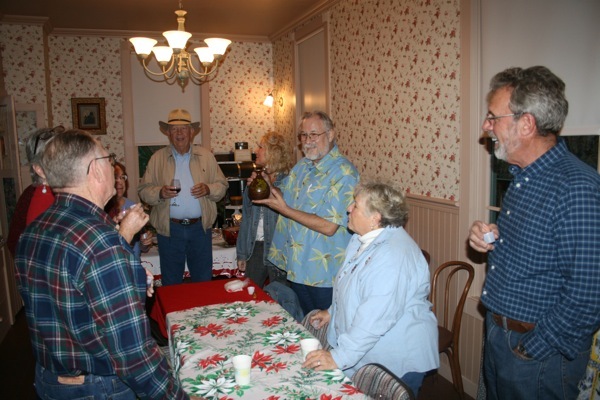 LCHS Vice President John Parker served an exotic Chinese liqueur to appreciative guests. A sumptuous meal consisted of pizza and various dishes made by some of the attendees. 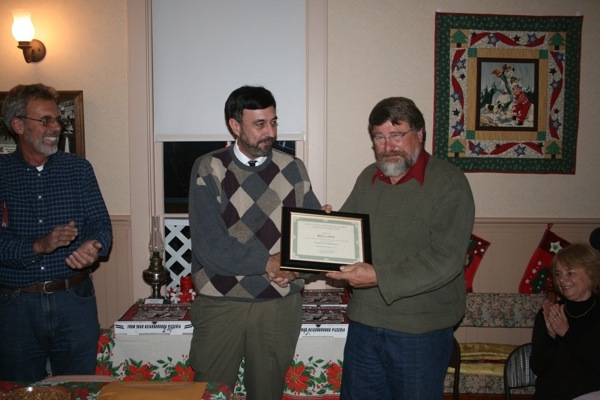 Lake County Historical Society President Phil Smoley presents the Docent of the Year Award to Bill Lane as Greg Dills and Linda Lake look on.